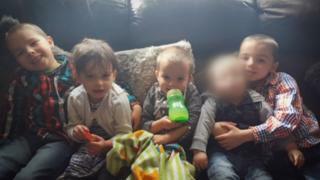 A man and a woman have been arrested on notion of manslaughter by gross negligence after four children died in a house fire. A 24 -year-old woman and a 28 -year-old man are in custody, Staffordshire Police said. Riley Holt, eight, Keegan Unitt, six, Tilly Rose Unitt, four, and Olly Unitt, three, died in the fire in Highfields, Stafford, on Tuesday. 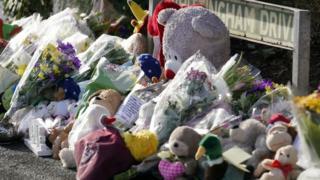 The force urged people not to ruminate on what may have happened. The children’s 24 -year-old mother, Natalie Unitt, and her 28 -year-old partner, Chris Moulton, leapt from a first-floor opening with the siblings’ two-year-old friend, Jack. The cause of the fuel is unknown and investigations are continuing.